Quick Takeaway: I have read this book 4 or 5 times. It might be my favorite book in the whole world, so I just wanted to be able to share it with everyone! Who Should Read This? Anyone who is interested in French culture, philosophy, or human nature in general. 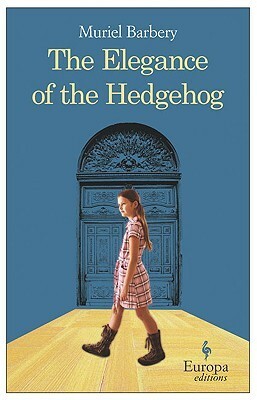 Review: This narrative follows two very different characters both living under the same roof: Renee (a Parisian concierge who is world-weary, stuck in the class system, and tired of interacting with the rich, pretentious inhabitants of the exclusive apartments she attends to) and Paloma (a genius 12-year old who has a fascination with Japanese culture and pointing out the absurdity of adults). The inner-thoughts of both of these characters are just so rich in understandable philosophy and profound thoughts about human nature. The two strike up an unlikely friendship with each other and a new tenant – a wise, Japanese man who seems to understand them both better than themselves. Their own perceptions about themselves and their surroundings are questioned, and they are both given opportunities for personal growth and finding more happiness than they thought possible. I love the character of Paloma so much that someday I plan on naming a pet Paloma in her honor. She would probably prefer for me to choose a goldfish, but I suspect it will be a cat. Paloma is just such a brilliantly drawn portrait of a precocious, highly intelligent adolescent girl. In a lesser writer’s hands, she could have come across as annoying or really contrived, but Barbery does a masterful job at creating a believable, endearing character instead. Watching her learn more about life and mature over the course of the novel is a special experience. This is one of the only books that I have tried to read as slowly as possible so that I could savor every second. I actually felt a sense of loss when the book was over because I just didn’t want it to end. Final Thoughts: This is just such a beautiful book. It’s definitely more character-focused than anything, so those who are more into plot my find this too slow for their liking. I just find that each time I reread this one, something new and profound stands out. It’s definitely worth a try if you’re interested.